Expressions of Gratitude, like all expressions, regardless of kind and quality, reveal where we are in life as well as where we're headed. Each expression projects a "ray of light" although of varying degrees and intensities, which always reflects back a harmonious quality of "light." Gratitude, thankfulness and appreciation project and reflect back an illumination of pleasing intensity. The expressions of gratitude from Enlightened Journey Global Community members as well as the many random testimonials I receive from visitors around the world are quite humbling to say the least and at the same time makes what I do so worthwhile. What I freely share throughout the many pages on abundance-and-happiness.com as well as through distributing the free Enlightened Journey Newsletter that reaches individuals in more than 196 countries globally, is making a positive impact as well as enabling desirable and significant positive change to become a reality for many who may have otherwise believed that doing so was outside of their reach. Rest assured, Real Harmony, Real Success and Real Freedom is readily available and easily accessible by ANYONE who is truly serious about creating significant, meaningful and lasting change physically, financially, relationally, mentally, emotionally and/or spiritually. Whether you might be seeking insight and understanding based on the latest cutting edge scientific discoveries or based on timeless spiritual wisdom left to us from the sages, mystics and spiritual masters since antiquity, abundance-and-happiness.com provides a wealth of information that is making a significant and lasting difference in the lives of many all around the globe. Here are just a few of thousands who have graciously expressed how Enlightened Journey Enterprises and Abundance-and-Happiness.com has made and is making a significant difference in their lives as a result of what is freely shared throughout abundance-and-happiness.com. If you feel led and/or compelled to share your expressions of gratitude and how the information here has impacted your life, contact us here. Over a year ago, I walked into an empty parking lot one night and looked up into the empty night sky and asked God to teach me how to believe and what that means. He led me to your site! I have read most of your work by this point and just wanted to thank you! My journey is beginning to gain some serious momentum in experiencing profound joy and peace. My meditations are truly other worldly experiences and infinitely varied. The more I trust the process, the more beautiful my experience becomes. Allow me to express my sincere appreciation for the wisdom you share online at Abundance-and-Happiness.com. I am the Organizer and Facilitator of the meetup group known as the GTS Law of Attraction Group (GTS standing for: "Got the Secret"), in Florida, and over the past year, we have explored your "Power Principles for Attracting and Experiencing Abundance, Happiness and Real Success" one-by-one, savoring every powerful principle! The information, as you have made it available and accessible, has served as a springboard from which the hearts and minds of GTS Members have been lifted week after week. I just wanted you to know the powerful impact you have made in the lives of some 295 GTS Members and to say "Thank You" ~ first and foremost, for being you, and for the time and effort you have placed in helping others find their way. Thank you, with Love ~ Respect ~ Harmony, Always! My name is Celeste and I stumbled onto your website one day when I was looking up information on staying "detached" from something. After I found your very helpful article, I continued reading a lot of the information on your site. I can't tell you how AMAZING it has been for me. I started on a higher awareness journey about 6-7 years ago and have read numerous books etc., but NONE of them have been as helpful as your website. Your explanation of how it all works is so clear and undeniable. I believe there is a small but mighty movement that understands this higher awareness and is helping to make the world a better place (even if it's a little slower than we would like :). I just wanted to take the time to THANK YOU for this site and the incredible information you have made available to everyone. I will continue to read it and share it. I just want to say thank you for all your many, many topics and how detailed they are. I am sure you get this all the time however like me I believe when you align yourself to a frequency it will show up. I have asked my manager "i.e Universal manager" to bring me more information on quantum physics and spirituality and guess what? He brought me to your web site. Double bonus, because your website covers so many other things too. Your website articles have really changed my life. Now, I'm a Conscious Creator of my life through adopting a Be, Do, Have Mindset. I don't have any words to express my gratitude for your in depth and knowledgeable articles which gives tremendous results in all areas of my life. Thank You and I Love You and Your Website ! I wanted to let you know that your website is the first one I have found that lays it all out in a way that people cannot fail to grasp if they wake up and become aware of their world instead of walking round unconscious. I came to these realizations myself four years ago and it was an earth shattering event for me. Your work on this website is going to help change the world as we know it. Thanks. The Miracle Of You and Your Cells is an inspiring read and helped me to make sense of Carlos Cantenada from back in the day! Thank you, thank you, thank you, for your site and your sharing. It's helped me to continue the journey. The knowledge of the Laws of the Universe is my most prized possession so THANK YOU for bringing them to me. I wonder if you fully realize how important a work you are doing. You are bringing us the same message Immanuel brought. First I would like to say that I think this is the best website in the entire web. I really mean that. I love this website. It is apart of my morning regimen to read at least one article. This has helped me a lot so far and I am just beginning. My question is how does one go about looking into teaching this? Once I have mastered this I would like to start sharing this. I truly believe in this. Thank you for your all your time and effort. This site is a true life saver for me. Thank you very much for the marvelous work you are doing. Words cant express how grateful i am personally. Have had a very rough childhood but what I am learning here has given me hope for the future. Now i look forward to tomorrow because i know i can achieve my dreams regardless of my circumstances.Once again,i want to say thank u very much. I have not been accepting of what is, but rather have been fighting it. I now adopt a MINDSET of wanting what I have! I no longer wish for something with great unhappy expectation so it can save me from my present, self-created circumstance. I suppose I will have to tattoo this on my arm so as not to forget it. In any case, you give such a clear explanation of what is going on, both metaphysically and scientifically, that there is no other choice. I truly appreciate and honor YOU. Thank you so much for this gift. And Your explanation far and away exceeds the majority of the "self help gurus" BECAUSE you give the insight of Unconditional Love, which is all there is, as you so eloquently say so many times, rather than just to push, push, push, against things. Pushing against has been my lifelong past-time. I am beat up and winded, but with my new understanding, the path is clear. I appreciate your efforts to change peoples lifes all over the world, including my own. Thanks. You're doing a great job. Thank You VERY MUCH for the prompt reply and for your continuous support in my journey to having a better life. I am so grateful to have browsed and come upon your site. It is very helpful. God bless you and again Thank You for the opportunity. I really like reading abundance and happiness. I read the Secret and other books relating to the Secret but your site is the easiest to understand. I have been practicing this way of thinking for a short while, but the results are amazing. When I have set backs I log on to this site and read again the chapters I read before just to get back on track. Your website is among many websites I have come into in a quest for Truth of our existence and God. This quest started over 20 years ago which lead me to Christianity and Many Churches and extensive bible reading. Only within the past few weeks I dared to seek outside my religious dogmas and the Bible. Funny thing is a movie trying to disprove Gods existence led me to find God more deeply because I became very empty thinking we had no purpose on earth except to live like animals and die. I dared to Google outside the Bible discovering just about everything that was positive had a parallel to the positive teaching of Christ. I opened my heart and mind and suddenly now what I was trying to achieve for over 20 years is reachable with proper understanding. Science helped me discover The God I love. Thank you and every other person for sharing the information on your website that is helping us find the Creator of our soul. God bless you mightily, I am sure he has. I am writing this letter to inform you that you are doing a marvelous job with the help of your website and other resources. I'm SAAD and I am only 21. I live in Karachi in an average middle class family. I had some problems or I should say "PERCEIVED" problems :) which helped me to rediscover my higher self and enabled me to find higher answers or some sort of answers. In the process i started to learn personality development tips and all types of other stuff. Well you know they don't work unless what you are choosing for your being. I m very happy to say that you are the only person who helped me to rediscover myself to my higher self. For more then 7 yrs I was living in fear based mentality but now your articles, writings, and Ebooks are the only source of motivation for me. I read all the time and try my very best to understand Unconditional love at the deepest levels. Once again I want to say you are doing wonderful job and your part in the world. Thank you for all this timeless information you are providing. You know in our society especially in Pakistan the society is victim of fear based mentalities. I want to help others peoples like you because i have been there and bought the t shirt and i know how cruel these times for anyone. I believe this is my purpose for being here. You wont believe how you have changed my life and keep doing plz. We need people like you. BEcause you know the greatest of these is LOVE. I have been meaning to write you for some time now and now is as good as any. I actually "lobbed" onto to your 'Abundance and Happiness' site while searching for something on the internet; searching for more spiritual enlightenment so to speak.....as I have done for many years now. I have read many books in search of meaning in this life and continue to do so. After I subscribed to 'Abundance and Happiness' I received a gift by way of.... 'Miracle of You and Your Cells' ...the eBook which showed up in my mailbox shortly thereafter. After the first chapter I new I had "found something." I was totally consumed and amazed at the amount of knowledge you have on the subject of life and the universe, and especially the non esoteric way you convey the subject matter to your subscribers. Everybody should read that book. I have read it several times since. It gelled with me as I have read a lot on the subject in the past; but you have both the gift of "teaching and writing" and a lot of authors usually possess only the latter. On that note Chuck I sincerely thank you for the amount of work and effort that you put into teaching us about the miracles of life. Keep up the good work; as your passion..... becomes instilled in us. Thank you so much for providing such beautiful information. I have just gone through a few things on this website and already feeling so good and happy. Thanks for making people understand the "REALITY". Thank you again and I look forward to read your incredible books. I've been a searcher for most of my life and your articles relieved me and offered me a sense of freedom that I've been seeking. This is just a thank you note for your presence and effort to help people like me to understand our full potential. I wanted to take a moment to thank you for your website. I've been studying various schools of spirituality & metaphysics for the last five years from the writings of Ram Dass, Ken Wilber, Fred Alan Wolf, Thich Nhat Hanh, Yogananda among countless others & feel your lessons are just as valuable. Your presentation of this information has spoken to me so very clearly over the last few weeks as I've immersed myself in it. I'm currently reading/meditating upon Deepak Chopra's "Everyday Immortality" book and find that your webpage has been such a complimentary blessing to that endeavor. It is from the deepest measures of my heart that I thank you for maintaining this website and presenting the information in such a way that it's accessible to all! I've just spent a few evenings reading your inspirational articles and things finally "clicked" into place. I now understand. You write with such clarity it's beautiful. I want to tell people to visit your site, but I know I won't be able to. You have to want to find it. After 12 months of searching and reading books it clicked into place. I now "get it" and I've already realized my thoughts and the change was almost instantaneous. Thank you! I just want to thank you for this inspiring web site. For sharing with people like myself. This information is changing my life! 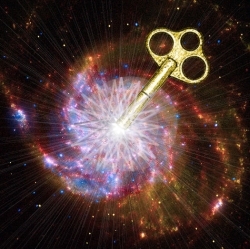 I purchased The 7 Hidden Keys To Conscious Creation. Just wanted to comment on the work you are doing and how important it is especially in today's world. Humanity has reached the cross roads in evolution which is the greatest leap we will make in human existence. Hopefully while everyone is learning the importance and simplicity of how all this works, it allows them to see the world in a very different perspective to the reality that surrounds us in every aspect of life. It will allow each person to see through the veil of illusions cleverly crafted to take away our creative powers...to keep us down and not to live the life we were created to live. With your work everyone has a road map to create a world of prosperity, happiness and love that reaches far beyond physical bounds. I have visited your website a number of times.....thank you so much for sharing your wisdom and insight. I had been (past tense, as I believe manifestation in the unseen is now beginning to manifest in the seen) going through a number of challenges, and consequently, searching for answers---that's how I came across your website. It has been a blessing. May Abba Father continue to bless you, and the light of Christ continue to shine through you. Just a quick note to say "Thank You" to you Chuck. What you have compiled here on this site and made available to a countless number of people is much appreciated. I've spent many years exploring these truths and you have helped me redefine many of them. I am a spiritualist myself and I find that these principles you put forth mirror my own in so many ways. I find myself coming to this site often or sending my clients here when I have told them of the universal laws and this great guy named Chuck who explains them so well. You have helped me and in turn I have been able to help many others and for that I am very appreciative to you. If there is ever anything I can do for you just ask. I just wanted to tell you that your material (both on website and Enlightened Journey newsletter) is absolutely amazing. It expanded my mind so much and made me understand the truth behind a lot of things. You really have helped me a lot in my journey of spiritual growth. I really appreciate it. I truly appreciate the amount of information you are sharing with us. I have found here some of the best and most valuable information. This site keeps appearing to me every time I look for new information, without having the intention of entering here specifically. I would describe the information you share, as wisdom for mastery. After a long journey, after many difficulties, after learning a lot about TRUTH, then came this. From my heart. Thank you. Excellent site. I finally came to understand the power of belief. And how it can become reality. Thank you for your awesome work it certainly changed my thinking process. Thank you for Enlightenment. I have recently discovered your web site and indeed your answers to questions of internal Harmony that have eluded me for so long are now answered. Now I am certain like Death that all that I desire will manifest and for that I acknowledge your help as I do now. The Wisdom that I always pray for is already manifested. I pray that more and more people of this World do get the opportunity to know about this. May all the Abundance of this World manifest itself in you. I would like to say thank you for your site and those wonderful things you teach about how to succeed in life. It is one of the most inspiring thoughts and feeling that come to you during discovering the real truth about yourself. Your insights towards the Laws by which the Universe lives are amazing! I appreciate the clear way you explain things and the examples you use to simplify the concepts presented. Thank you! I truly am grateful for finding this site. So much energy and information is included here. The information included in this site would cost hundreds of dollars elsewhere. Thanks Chuck for being such a generous spirit. I stumbled on this site looking for something else and was surprised. This is an EXCELLENT site!! I have watched "The Secret" DVD but this site is soooo much better. It breaks it down and shows you how to apply it in your life. THANK YOU for this site!! I greatly appreciate the information. How I wish I had found this years ago! It is exactly what I believe. There is so much to read and absorb. I will be spending hours reading this very valuable information. I am emailing you to share some gratitude with you for your website. Looking back and understanding I attracted your work into my life though I am grateful for the time you took for your vital info. Your pages have helped change my life plus it was you that put me in touch with the Wealth Beyond Reason Programme which got me in contact with the Secret DVD (I cry of joy at the end every time I watch it) I am grateful for my higher Power that looks after me every day & has guided me to know and understand the Law Of Attraction. I am grateful for being able to erase limiting beliefs. I know I have a responsibility in bringing and contributing good on my journey & I am honored. Most of my friends and work college's think I am nuts (in a nice way) and at one point that would have brought fear but today I could have millions of people say I am lying and it would not change my beliefs. Wishing you a great week and a happy day. Your buddy and new friend on this incredible journey. The most informative site I've ever come across in my search for truth. It opened my eyes to how simple it all really is. Now that it is 2007, I just wanted to thank you for helping me achieve a very prosperous 2006! I believe your website is the best one I've seen on using the universal laws and is filled with very useful and well written information. I wish you all the best in 2007 and thank you very deeply for the information that you provided that helped me reach some of my goals. I've been searching through the internet for over a year, for a site just like this... One that will talk to me of the things you talk about... It's Great! I am black and belong to ethnic group of the Xhosas in South Africa. I'm thrilled because as I continue to read your wonderful revelations a lot of things come through my mind. Things that are unconsciously created by our people. I have confessed 15 years back that, I will never be attacked by fever. To this day I have never experienced it. Be it I am surrounded by people who have it, it does not affect me at all. I have a belief that my body is a machine that heals itself naturally. This brings me into a conclusion that really your teachings are true and they are not a fiction but a reality that exist. I did not know the truths that you have revealed in your website then. Your site and all of it's information is magnificent and quite frankly the most profound literature I have ever read with regard to scriptural and scientific truths. I have recommended your site to many people and will continue to do so and their lives and my own are changing for the better. So now I've found what has proven to be one of my life's major stumbling blocks, explained and understandable and I thank you. I appreciate very much your wonderful & great work for empowering & enlightening human spirit. I love your website Abundance-Happiness.com which is simple, creative, energetic & Innovative. I believe that expansion of timeless wisdom of your work will solve lots of interconnected problems at level of root cause. Best wishes to you and your work ? 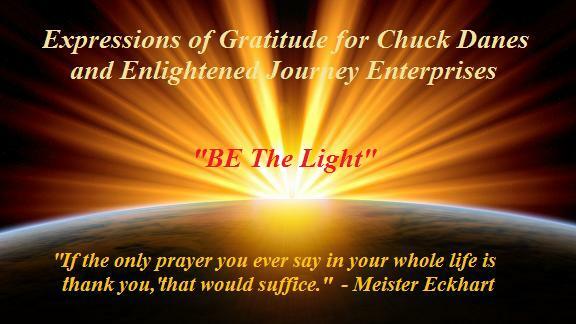 I just subscribed to your Enlightened Journey E-zine and I wanted to tell you why. I do not adhere to a lot of new age thought because much of what I've read leaves out God, as if we don't have a need of anyone but ourselves. The thing that attracted me to your beliefs is that you have learned the source of true happiness and explained it so well. Thanks so much for sharing your truth with the world. I just had to say that your site is amazing. I'm still going through it as there is much to read. I don't even know how I found it but that doesn't matter does it? I was led to it. I am very grateful that you provide the success blueprint for free as it's worth a fortune in my opinion. I am very excited about my future and I know I will give back to others in the hopes of enriching their lives. The "how" to do that will be revealed to me. Anyway, what I wanted to simply say is thank you, thank you, thank you! A heart felt thanks for your site and its teaching. May God continue to bless and keep you close. For helping others is God's great mission and you are certainly living his truth. Chuck knows how to contribute real value to people’s lives. And he does that in so many ways every single day. Chuck has studied success at a deeper level than most so-called success experts. If you partner up with him, you will benefit in many ways. First of all I want to say a big thank you for helping a large number of people all around the world discover the real truth. As I proceed, I do hope to make a suggestion or throw a question at you. I am glad I found this site, this is truly the greatest thing that has happened to me since my entire 23 years sojourn on this planet earth!!!! The service you provide is invaluable and I thank you for helping our world to be of light. I want you to know that your writings enlighten my soul. There's much light in it that makes me want to go your website every time to read some more. Your writing is so sincere and honest. And everything you're writing is true for me. I don’t know yet how to use all the information. I had to write and tell you of an overpowering feeling I got while reading your wealth consciousness blog. I have been asking for a long time for someone to teach me how to create money in my life, because that is my only block in my life currently. I of course have the usual little things which get in my way, arguments with my boyfriend, cats get sick, you know the usual daily things which can happen. But, overall I have been able to change my entire outlook on life, erase years and at times I believe centuries of fears from myself..which I might add has NOT been a pleasant experience but the love I have felt on the other side of my fears is what has helped me continue wanting to conquer my fears. I have had so many blessings in my life after each breakthrough I have. I do not know if others have this fast of an experience. But, it is my impatient type of personality which has always driven me anyway..so it would only be logical I would have set my life up in such a way to have myself go through some kind of quantum leap type of experience. I have daily miracles I call them sometimes, other times freaky synchronicities, weird connections which suddenly something makes perfect sense to me. Today while reading your blog..I had one of those 'knowing' moments. I just had to say thank you for being one of my teachers I asked to be sent to help me. I have no idea what your spiritual beliefs are, or if you even connect this to your spiritual side, but I am wiccan yet also metaphysical, use the symbology in Wicca to relate to the powers that be, but likewise love the science of how it all works too. In my eyes you are one of my guides, an Angel sent here to help present this information to me in a way I can relate to and understand. Up to now the information has not been put into physical terms I could understand. I am an abstract thinker, but please..some of the law of attraction stuff is over my head, and hard for me to grasp at first. I know this is long, but I had to tell you how you have impacted my life. Thank you so much. And may all the blessings you have rained upon me..be sent back to you x3 with love. I've had this website as my homepage for the last few months and my life has benefited dramatically from the valuable knowledge you share. Thank you so much! Please keep it going! I Believe what you are doing is the most wonderful thing in the world, your shared knowledge is truly a gift to me and I am forever grateful to you for sharing with the world. I have heard about this before...I watched the documentary called The Secret..and even though it was helpful, it wasn't as understanding and in depth as you are in all of your articles. At first things weren't happening exactly as I wanted them to, and when I read your articles I was able to see why. Every since I have been reading the articles on your website I have became more aware of who I am and the gifts that I have been born with, my birth right to have the life I desire to have, I know my worth, and it has changed my life. I feel myself growing each and everyday becoming the person I have always desired to be. Things are changing for the good, and I am receiving all that I desire. Thank you so much Chuck, I am forever and ever grateful to you and may God continue to bless you. I read your article on Trust. Your articles are always interesting and easy to understand. They seem to come around when there are doubts I am facing and it puts me back on track again. I've come a long way, from the negative person I was, especially about myself. With your articles, I learned so much about life and all you can create for yourself. I appreciate all you are giving. Your website is astounding. And I have had some spectacular awarenesses from your articles. I want to thank you very much for making this available. I "stumbled" onto the website last night and have since read "The Blueprint". Having studied under a Native American Shaman many years ago, I am well versed on the Laws of the Universe but had "forgotten" them. I have been living that life of fear, grief, anxiety, etc... for the last three years, since my husband died. I thank the Universe for leading me to your website! I was "ready" and have been soooo enlightened. I feel the shift in a BIG way. Thank you for your site, insight, and most of all, thank you for you! I was really depressed when I failed in 3 exams out of 6 in my engineering college but when I just explored your site it was full of bright knowledge and a perfect boost to my shattered confidence. I have read tons of written text on Quantum physics and the place LOA has in solid science. You've written the epitome of the best of the best explanations of Quantum physics. I would like to add your entire text as an appendix in my upcoming book. Please guide me in the best way I can credit you. I am happy to include your photo, and all website contact info. Your website is awesome! Your Enlightened Journey newsletters are always full of timeless truths that have helped shape me into the loving, conscious force of righteousness I am. My name is Kelbi. I have been a avid reader of your site for a little over one year. It has a wealth of information that has transformed my awareness over time especially The Power of Love. But was by far more profound was the ezine I have received from you on Physical Power vs Spiritual Power. That was just the e-zine I needed exactly at the right time that I needed it. Two things I have pulled from it and has re-wrapped my beliefs, and has cleared my anxiety once again transforming my awareness higher. The two things I will keep forever is that experience is actually the only way to grasp anything and number 2 About the paths. The whole section of the paths that people have and that in fact we are all going to the same place and the infinite number of paths that really are right in front of us. Those 2 pieces of advice are a very good combination for me. 5 days ago I have just came to the conclusion that life is an amazing experience period. nothing short of it and have an awareness like that is truth and a lot of good things happen. So your info was right on time expanding upon what I have just realized. (and that we will never know everything and that's an inspiration when someone as much knowledge as you have say that and that inspires) it is a truth its obvious we will never know anything infinite. I look forward to your ezine tonight Chuck. Thanx again for your hard work and effort to make the world the best place to be for yourself, myself, and others! I don't know who is actually reading this but just wanted to say thank you! I'm at a point in my life where I seem to be struggling in many areas. I have been most fortunate to come across this site a couple of years ago,I have made myself a book with many of the articles. But I find myself to be alone with my beliefs there's not many people I can share these truths with, they look at me like I'm from another planet, even my wife. It makes it a struggle for me even though I know it to be truth. I have had more questions answered in the last couple of years than I have had in the last 40 years. It's like mind candy, I can't get enough. I just wanted to extend my appreciation for the valuable information you provide on your website. This has changed my life forever. I have recently read two of your articles concerning "the power of surrender" and The power of action". I found them very informative, "rather heavy" as well as soul and mind touching. I give four star for them. Keep up good work. I have to say that I truly am thankful for having subscribed to receive the ezines or anything from abundance-and-happiness for that matter. I find everything regarding "The Laws" along with the down to Earth (no pun intended) way you explain them fascinating. At 50 yrs old I am a beginner and a work-in-progress and the more I read, like a puzzle, all of the pieces are coming together. I've read writings from Neville Goddard and you remind me of him although he leans more toward the Bible, which is cool too. Once again, thank you for the education you are providing me and may you continue having Abundance-and-Happiness. You are amazing and thanks for your incredible site. I have hardly been out of your site for a week - very little sleep as well. I feel like a very dry sponge that has been soaked in a bath tub of water. I would like to share so much more, but your time is precious in helping those around you, so let it suffice to say thanks, (and thank you Lord Jesus), for opening my eyes. I just trust that I will take one step at a time to fulfill my purpose and potential. All the very best from "Way down south of the equator"
I just wanted to say that your articles are beautiful, inspiring, concise, clear and truly wonderful. Just what I was looking for. Reminds me of my favorite inspirational book (Seven Spiritual Laws... by Chopra) only more well written. I thank you for presenting the entire set of principles in such a powerful way. I will be back to this site. I hope to find your writings in book. Thank you. The information I found on your website helped me so very much! I had such shaky knees going into this, wanting so bad to "get it" but still finding it all a bit "hooey", if you will. Then, one magical day I came across your site, specifically your article on Quantum Physics, and when I read about waves of energy instantly changing into whatever the scientist believed it to be...I swear if I were bugs bunny you would have seen the proverbial light bulb appear above my head with a tiny "ding"!! I got it...something clicked and it has spiraled me into this amazing journey of quantum physics, string theory, consciousness, enlightenment, yada yada yada. I found such peace, wisdom and truth in your words. My life has changed EXPONENTIALLY since reading your words, and you should be very aware of what a powerful impact you have had on this one little life. Thank you!!! A friend showed me this beautiful quote and I'll pass it on if you haven't heard it yet. I try to say it every time I get the chance: I am Source. This is my creation, Jessica. I have studied this for years, and you have a valuable, excellent wealth of info for me to add to what I've already studied. I'm so glad I have found like-minded people, like you, who know what I know. I am very grateful for the contents of your web site on the Law of Abundance. It is an answer to my thoughts of being connected to the Super Conscious Power. I really don't know how to express my gratitude. Thank You from the bottom of my heart. Thank you for creating this website. I sometimes read it during those times when it's not so easy to feel gratitude and love. Your words always uplift my spirit and get me back on the right track again. Just wanted you to know how much I appreciate that. Only once I can remember in my life did anything ever touch me inside like your site. The things you told...said....this is like...the beginning of a new life....and I wanted to tell you...thanks.....a lot. I have not felt this happy inside for a long...long time.....thank you. This is a perfect site, all things written here are totally true!! Whenever I need to recover myself, my life and mind, I visit this site. You are so sincere and persuasive, thank you sooooooooooooooooo much, you let me learn how to live. I'm currently reading/meditating upon Deepak Chopra's "Everyday Immortality" book and find that your website has been such a complimentary blessing to that endeavor. I'm Grateful for this Gift and will put it to good use. At the first of Oct I lost my Job. For 4 weeks I have been trying to create a new reality for myself and fell deep in to depression. It seemed everything I was trying to attract came out exactly the opposite of my desires and now I understand why. Letting my mind over ride my desires and really not understanding how to release those blocks that I was creating from fear and doubt. Chuck I don't know how to thank you enough but as soon as I work out my desires to that of Heart I will order your material. I feel better now than I have for a long time now. I know how to change the seeds that I have been planting to those of my heart and not the blocks of my mind! I'm eternally Grateful to you, especially at this time in my life. My heartfelt thanks to all who have taken the time to convey your appreciation. If you feel compelled to share how Abundance-and-Happiness.com has impacted your life contact us here and share your story with others. Expressions of gratitude serve us all in far greater ways than many realize. To Be, Do and Have More. "Consciously and Consistently Applying" What You’ve Discovered.